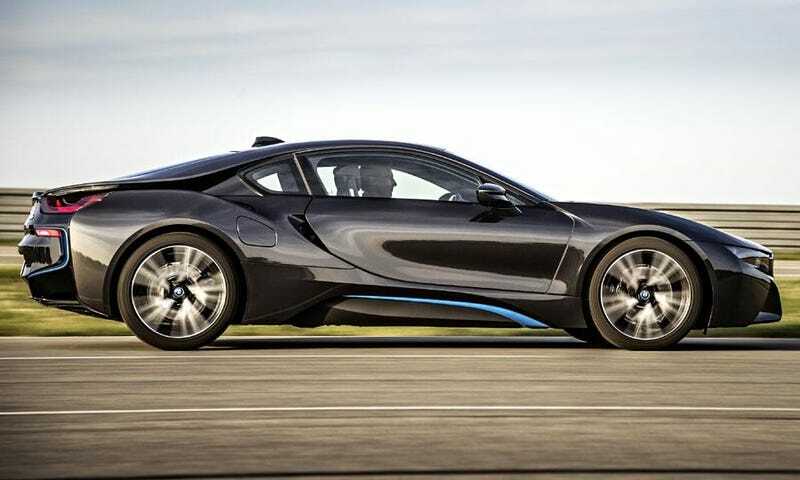 I Don't Understand The i8, What's Your OPPOinion? Prior to viewing Harris' i8 video, I wasn't really a fan. Ya, it's sorta cool looking, but come on BMW. Anyway, after watching his video, I dislike the car even more. First off, no power slides, sorry, not a proper BMW sports car. Hell, not even a proper Harris review. Yes, I get it, we are shaping the future of the automobile, but this car just seems utterly useless. Right now, for us Jalops/OPPOs, if we wanted/settled for a fuel efficient car, it would at least have to be useful (Read: Tesla or Volt). Then, you would have your nice weekend car. A fuel burning fun car. A 911, 4C, etc. The i8 is none of these. Not very practical and not very enjoyable. Yes, you will have tons of curb appeal, but that's where the excitement for this car seems to end, the curb. BMW has become a confusing brand and I, along with other BMW enthusiasts, aren't very excited about this new shift. Don't get me started on the i3, just don't. I was at least hoping the i8 would be something interesting. You know, a flagship that would crush all the others with the new and improved tech. Well, to me, it's not. Might as well call it a Space Age Prius. Yes, I went there. Under the sleek lines and carbon fiber, you have a hot rodded Prius. Hell, even the Toy has a 4 banger. There is nothing wrong with an efficient vehicle that utilizes the best of what we have developed, but please BMW, make it interesting. So, now that I've thrown my views out there, what are yours?